It’s time to start thinking about the Droid series. The Verizon Wireless exclusive usually launches in the October/November time frame, and we don’t expect anything different for 2015. Last year, Motorola and Verizon collaborated on only one Droid, the Droid Turbo, whereas multiple devices were launched in prior years. Based on early rumors, Verizon is likely to offer not one, but two Droids this year. Updated on 10-20-2015 by Malarie Gokey: Added Verizon teaser tweet for the new Droid. The Droid Turbo 2 may be nearly upon us: Verizon and Motorola have begun issuing invitations to an October 27 event in New York City. The press flyer doesn’t give away much, but does specifically refer to “Droids” — a potential hint that more’s in store than the Droid Turbo 2. 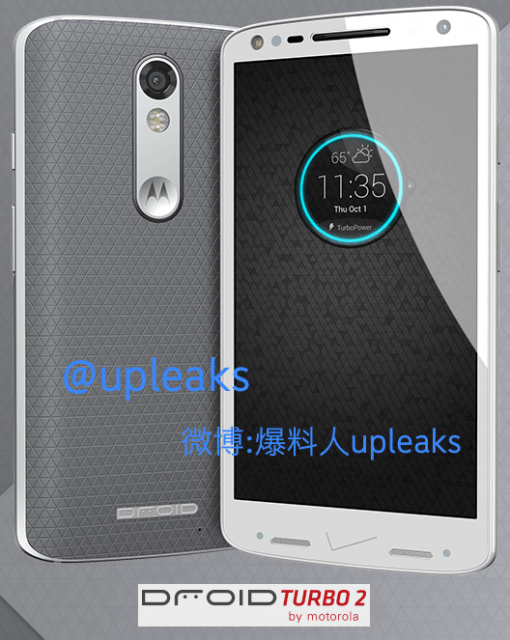 According to @upleaks, the Droid Turbo 2 will be a rebranded Moto X Force, aka Moto Bounce. We expect the internal specs to be the same as the Moto X force, which is rumored to feature a 5.43-inch Quad HD (2,560 x 1,440 resolution) display, an octa-core Qualcomm Snapdragon 810, 3GB of RAM, up to 64GB of internal storage, a 21-megapixel rear camera, and a whopping 3,760mAh battery. Verizon Wireless is notorious for making slight changes to its rebranded models though. 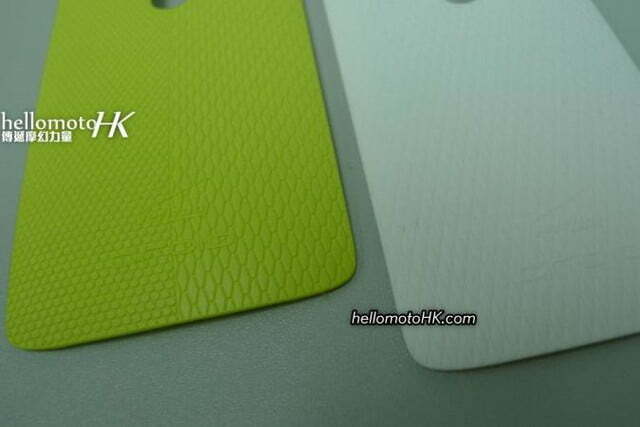 It’s likely that wireless charging could be added along with Kevlar material on the back plate. Interestingly, Phandroid revealed that not only do the aforementioned specifications ring true, but that there will be a 21-megapixel camera on the back and a 5-megapixel shooter on the front. In addition, the display looks to be “unbreakable,” due to the display being reinforced by metal edges. We’re not exactly sure if there’s more to these words, since many high-end smartphones nowadays also have metal borders, though the display is rumored to also be a Plastic OLED, or POLED, variant, the same kind of display we saw on the LG G Watch R and the G Flex. Just as interesting is the Turbo 2 being the first Droid smartphone reportedly available through Moto Maker. If you decide to go down that route instead of hitting up Verizon directly, Motorola will reportedly offer you a one-time design swap or replacement within two years of your purchase for the low price of free. Verizon looks to back this method completely, as Big Red will reportedly dedicate some store shelf space to showing potential customers all the back covers available if you purchase the Turbo 2 online. As for how the phone looks like, this leaked press image reveals a phone that looks very similar to the rumored Moto X Force. Back in August, the same source that revealed the Droid Maxx 2 news, also claimed that Verizon and Motorola are cooking up a sequel to last year’s Droid Turbo. Although Motorola said the Moto X Play isn’t coming to the U.S., recent rumors suggest that it could be rebranded as the Droid Maxx 2 at Verizon. Now, Android Police has spotted hands-on pics of the Motorola XT1565 with Verizon branding, which is believed to be the Droid Maxx 2. 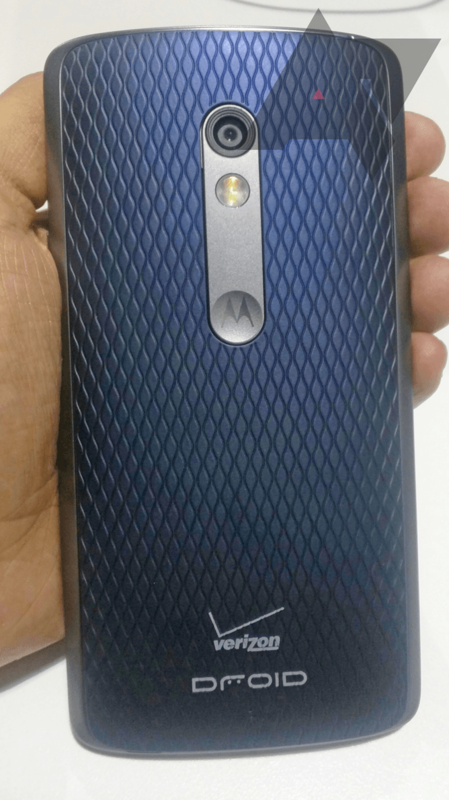 The Droid Maxx 2 may make an appearance at the aformentioned Verizon and Motorola event in New York City on Oct. 27, if rumors are to be believed. The phone in the pictures is more or less a rebranded Moto X Play, but with less storage onboard, if the leaked screenshots are to be believed. The Moto X Play comes in 16 and 32GB versions, but this version is listed with just 8GB built in. Of course, a MicroSD card slot could solve that problem, assuming the Droid Maxx 2 comes with the option of expandable storage. 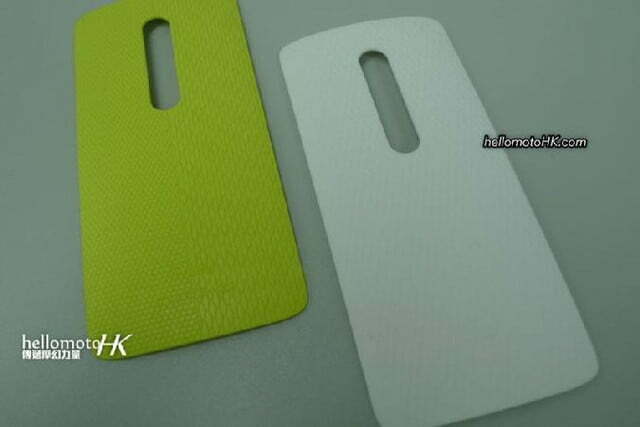 Previously, reliable leaker hellomotoHK posted images of what appears to be the Droid Maxx 2’s back cover in late August, and you can clearly see the Verizon and Droid logos at the bottom of the lime and white covers. It’s not clear if these will be the only color options, and we presume a black version will be added to the mix at the very least. 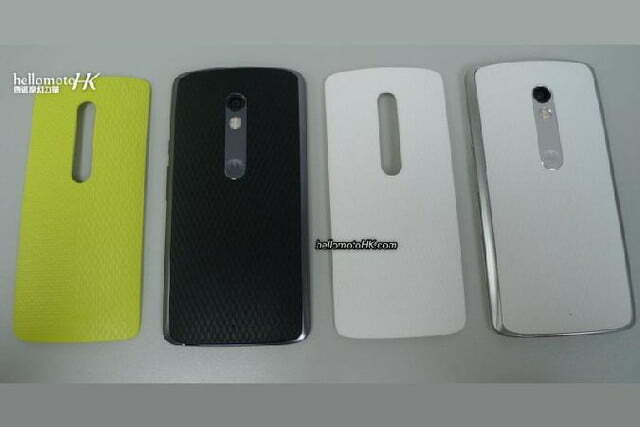 The fourth photo below shows the two Droid Maxx 2 covers along with two Moto X Play covers to show the resemblance. In mid-August 2015, A very reliable source indicated that the recently announced Moto X Play will be launched on Verizon Wireless as the Droid Maxx 2. The Moto X Play is a more affordable version of the Moto X Style (and Pure Edition), but with a humongous battery. 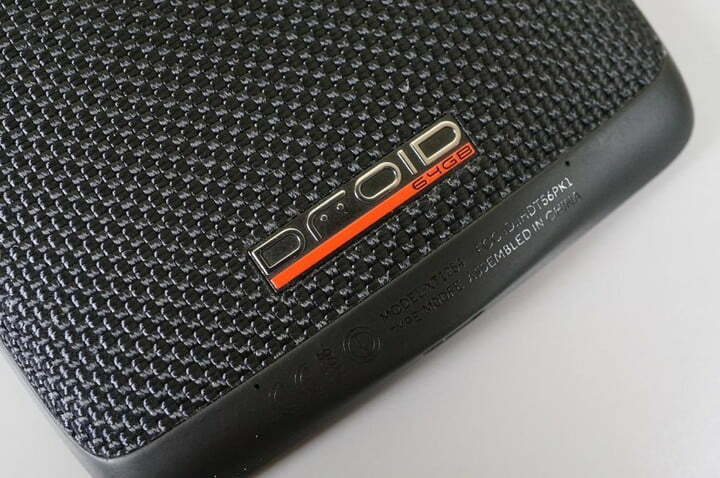 Even though it’s only a rumor that the Play will be rebranded at Verizon as the Droid Maxx 2, it makes a lot of sense since the first Maxx was all about the battery life. It’s not clear if Motorola and Verizon will make any changes to the Moto X Play before re-branding it, but we wouldn’t be surprised if at least the body material is changed to reflect the Droid tradition of Kevlar. As far as specs go, the Moto X Play features a 5.5-inch 1080p (1920 x 1080 pixel) screen, a 1.7GHz octa-core Qualcomm Snapdragon 615 processor, 2GB of RAM, 16 or 32GB of internal storage, a MicroSD slot for expanded storage, 21-megapixel rear camera, 5-megapixel front-facing camera, and a 3,630mAh battery. The Moto X Play was announced a few weeks ago alongside the Moto X Style (and Pure Edition), but Motorola specifically said that it wouldn’t be coming to the U.S. This was surprising at the time, since Motorola doesn’t usually offer phones exclusively outside the U.S. Assuming this rumor is true, it’s now clear what was going on behind the scenes. 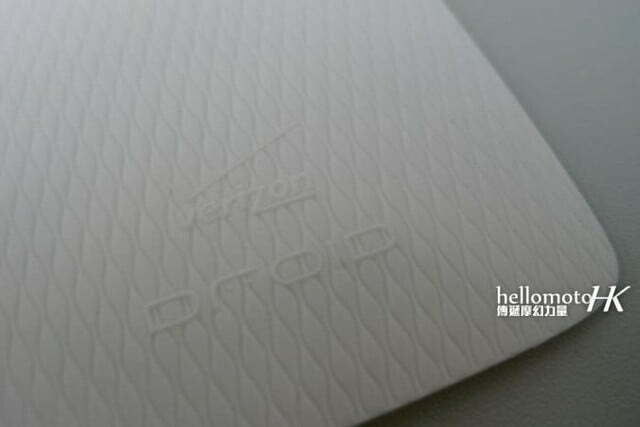 We’ll keep you updated as we learn more about Motorola’s upcoming Droids. Updated on 10-15-2015 by Kyle Wiggers: Added Verizon and Motorola’s announcement of an October 27th Droid event. 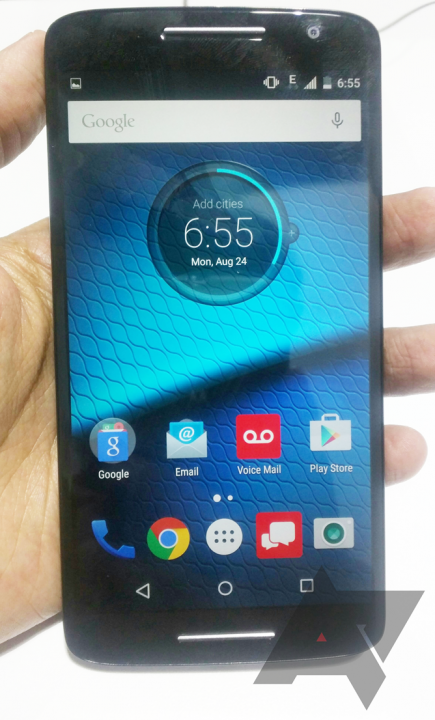 Updated on 09-24-2015 by Williams Pelegrin: Added in more rumored specifications of the Droid Turbo 2. Updated on 09-10-2015 by Robert Nazarian: Added in news that the Moto X Force will be the Droid Turbo 2 along with a leaked image. 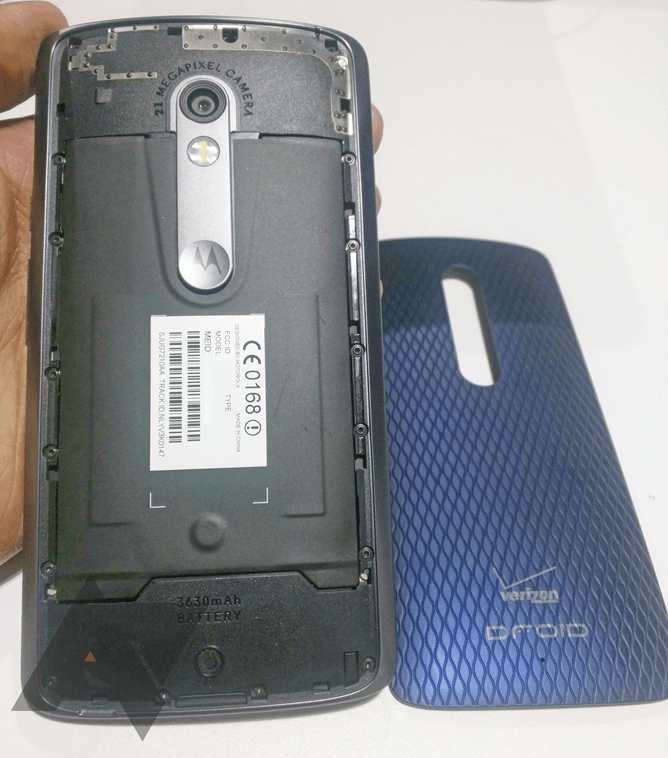 Updated on 08-25-2015 by Malarie Gokey: Added in leaked hands-on images of the Droid Maxx 2. Updated on 08-24-2015 by Robert Nazarian: Added in leaked images of the Droid Maxx 2 back cover.